When I heard this story I couldn’t stop laughing, but I also realized that this was an amazing example of how confused and flustered we can feel when we are looking at a new recipe, especially a relatively complicated one. For a lot of cooking, I find that measurements can be relatively approximate, but when we are trying a new recipe or if we are relatively new to cooking, having things be precise can be reassuring and helpful so I wanted to share some tips on measuring and also some equivalencies that can be really helpful to know for those times when you run out of clean measuring cups and spoons. Scoop, then scrape. 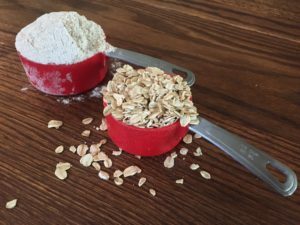 When measuring things like flour the best way to get the most accurate measurement is to scoop up the ingredient until it is just a bit overfull and then use the back of a knife to gently scrape the excess back into the container. This will prevent over-packing a measuring cup. Use scraping edges when provided. If your baking soda or baking powder containers offer a flat edge near the top of the container, that is for scraping the measuring spoon to be level. Use measuring cups for dry ingredients whenever possible. While you can use liquid measuring cups, it is much easier to scrape the excess off using a dry measuring cup. Use a liquid measuring cup whenever possible. 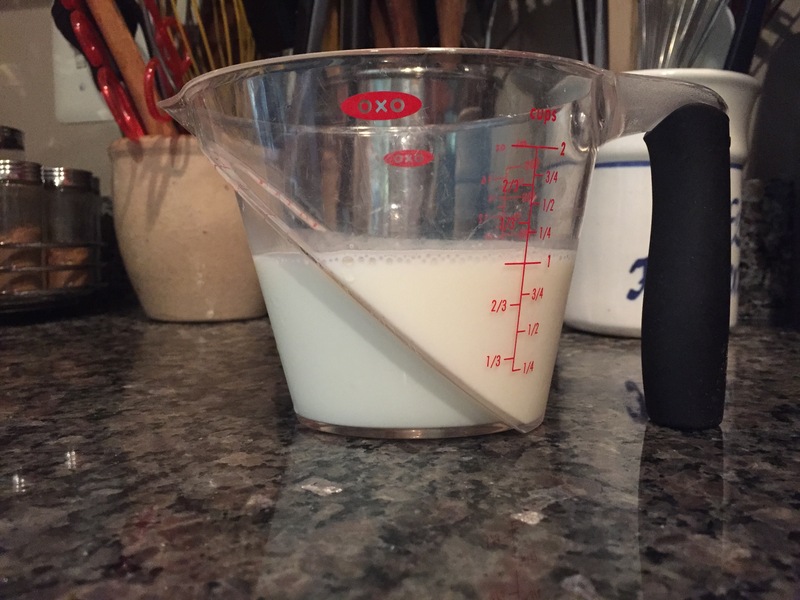 While you can use a dry measuring cup, you will need to fill it all the way to the very top and risk spilling, whereas a liquid measuring cup gives you room at the top. Put your liquid measuring cup on a level surface and squat down to make sure that the measurement is accurate. Looking from above can distort your view. Make sure the top of the liquid meets the measurement line. If it is just under the line, then it is not enough.